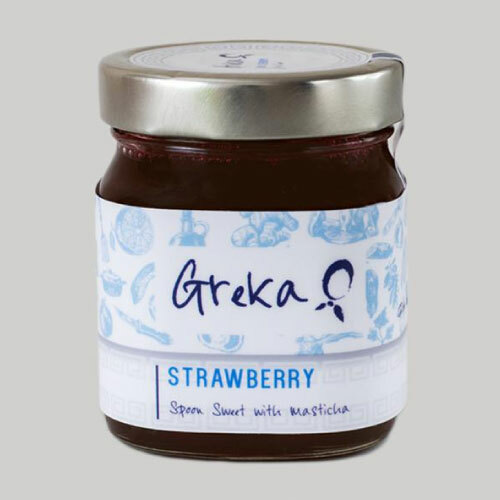 Our Strawberry spoon sweet is given a twist with the addition of Mastiha, a liqueur seasoned with Mastic, a resin gathered from the Mastic tree, primarily found on the Greek island of Chios in the Aegean Sea. It can be enjoyed with morning croissants, over Greek yoghurt or ice cream, as a filling for a Victoria sponge or with scones and pancakes. *Once opened please keep in the fridge and consume within 6 months.